It is quite understandable that many ladies question how our courses are going to help their kids if they learn it. I encountered this very important question while I was in Thika with a ladies group. Let me give you an example of an indian CEO in modern technology world. E.g. Sunder Pichhai from Google. He hails from a very humbled background with the fully rooted indian values. Do you think there was nobody else as technically sound as him and also creative. But his values pushed him to this stage as he was to head the company world over. Even to climb the ladder of corporate world, we need to inculcate the indian values to our kids which gives them an upper hand above peers. The world is surely competitive and we don’t have enough time to teach more to kids. But value based education helps you not only in jobs but also in personal life. The world is such a diverse place. It is like a mosaic with different cultures forming a rich and beautiful tapestry. We understand that it is the uniqueness and identities of different groups and societies that make up this wonderful human world. And we need dialogue and exchange of thoughts constantly to remind us that we need to live alongside different people in harmony and peace. We have to acknowledge this diversity, only then will we be able to accept and learn from others and share what is good in our own. This kind of a dialogue should be there in all our schools and colleges, I feel, only then we can truly call ourselves cultured. There is so much divisiveness in a society that we have to take this call especially when we live in multi-ethnic, multicultural societies. The Dalai Lama keeps stressing that dialogue is a good thing. Otherwise, we will grow up as separate islands or pockets without mingling with others. As the world is becoming more global and we are moving across continents, this kind of integration and seamlessness is necessary. This is what the meaning of true culture is. When I was researching for the Hindu Culture Studies books which I have authored I found that India from the ancient times had this kind of approach. Vasudaiva kutumbhakam, we always believed that the entire world is my family. We assimilated all cultures, welcomed people of all ethnicities, treated them as our own and that is the true culture of our ancient country. We have to teach our children and our future generations about this. That is the reason why our country holds reverence among the world nations. This pride should be instilled in all our countrymen. 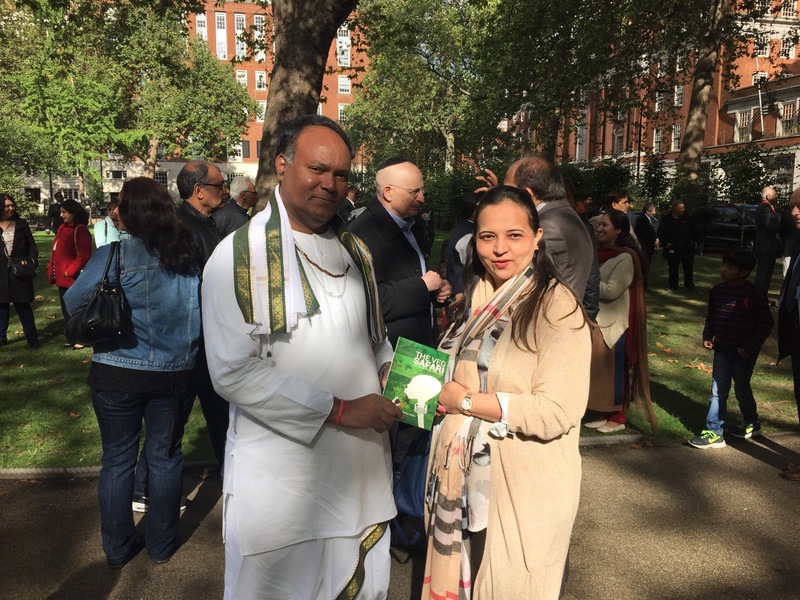 Wherever I travel in this wide world I come across people asking me so many questions as they want to know about what they have read or heard about India and I feel quite happy to talk to them about the greatness of our culture. We don’t realize the priceless treasure that we have inherited. Let us hold on to it and become cultured in the true sense of the word. 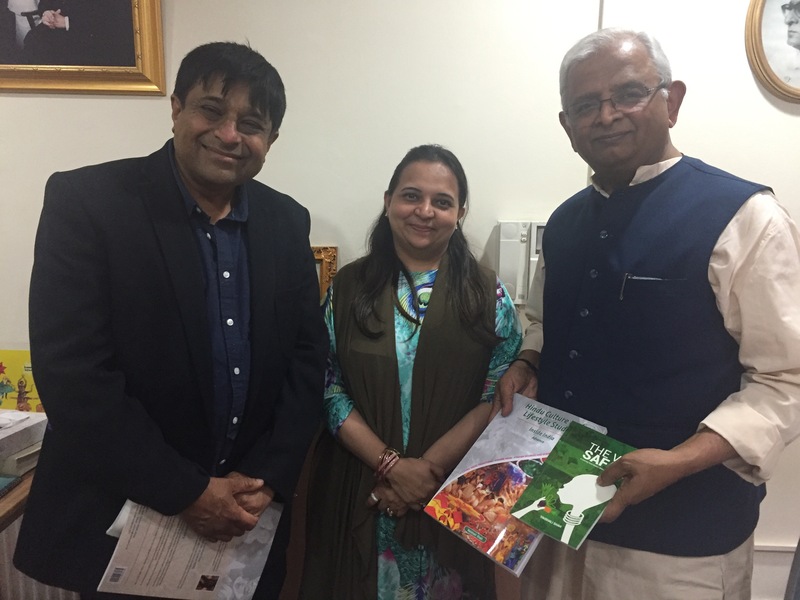 Shrivedant Foundation has developed a unique course material to help Indians and others to start living a Vedic Hindu Lifestyle to uplift their soul and well-being. We have introduced Courses on Hindu Culture and Lifestyle in three levels – Basic, Intermediate and Advance catering to children, teenagers and young/ mature adults respectively. Each level has a set of 4 books making it 12 books in all. The four subjects are Vedic Lifestyle, Inside India, Indian ancients sciences and Indian Scriptures. The material is designed in such a way that the student understands the elements of vedic lifestyle and gradually grows in the same path, becoming aware of every aspect in the later courses. The Veg Safari is an attempt to explore the compelling need for the world to turn vegetarian today. The choice to turn wholly vegan or vegetarian is not dictated by moral or ethical concerns alone, nor is it an attempt to convince anyone using religious mumbo jumbo. 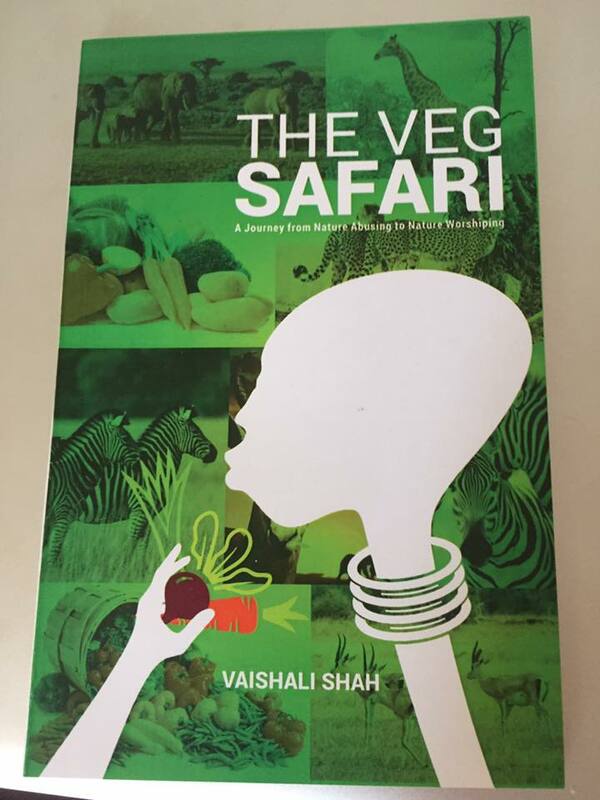 The book presents many case studies to back its claims and the author Ms. Vaishali Shah who is also the founder of Kenya Vegetarian Club has spent many years studying the effect of the meat industry. Foremost among the many consequences of a flesh based diet is its effect on one’s health. If that is an individual concern, then the dwindling nature of earth’s precious resources is certainly a cause for collective concern of all nations. The poor nations are hit the hardest as land and water which can be used to eradicate hunger and mal nutrition are diverted to grow fodder for cattle which will eventually end up on the lunch plates of only those who can afford it. Locals can be convinced of the need to move away from animal-based foods if alternate methods can be explained to them. Also cultivating farms and growing more food will improve their own health index as also bring in some revenue and employment. Planting trees, donating seeds, cultivating vegetables are all helpful in improving the health and productivity of the nation. 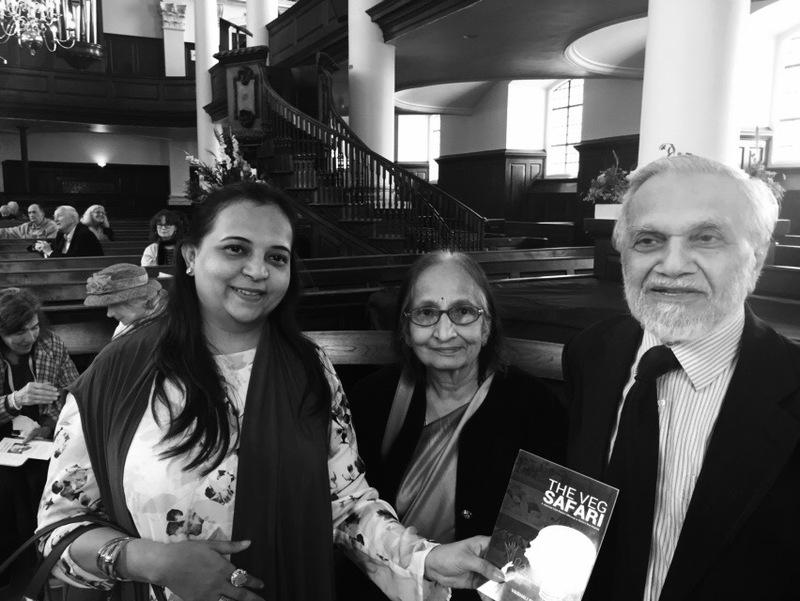 The book raises various pertinent queries and addresses the concerns of all readers and is backed by case studies that help it to connect with the readers easily. It is a dream to see a healthy, nourished and prosperous Kenya in the not too distant future and this book is an attempt to create that golden future. The book is available on following websites in different countries. 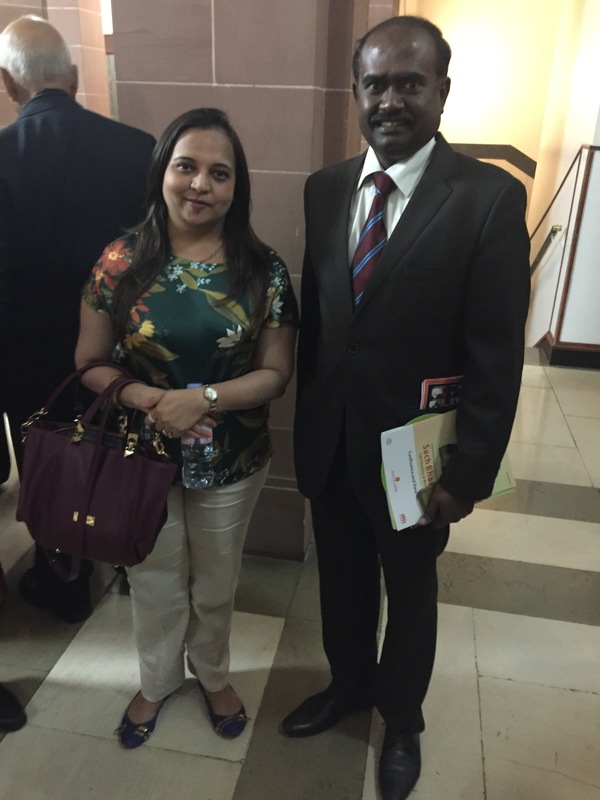 I am so happy that the Hindu Culture and Lifestyle Studies Course has been launched in Kisumu. We had a grand inauguration of the program on 21st February to the local community. These courses are available in three modes, online, sself-studyand classroom. I wanted the members to understand the genesis and background of these courses. 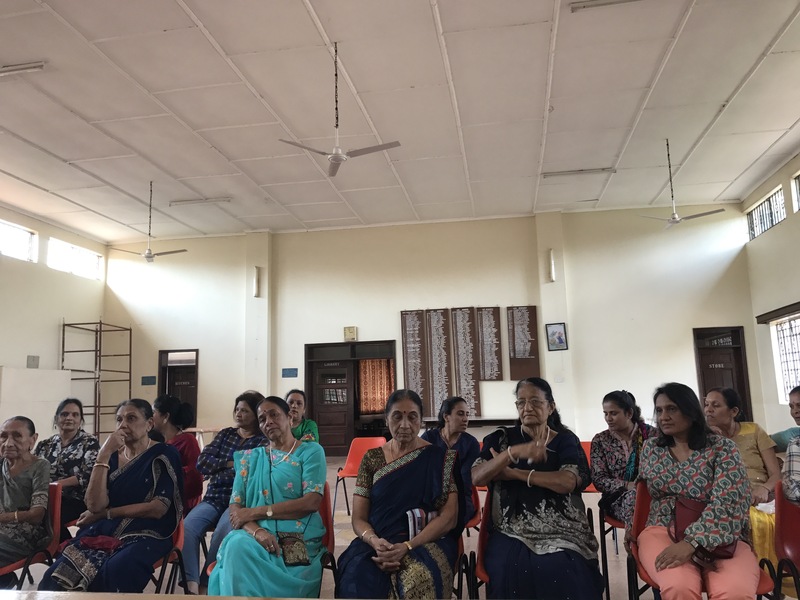 My presentation helped them to understand in detail about the courses which are going to be conducted in three levels, basic, middle and advance. More than hundred people were there and I hope we start getting a good number into our classes. It is my dream to see youngsters get a good understanding about our culture and traditions. The Shree Sanatan Hindu Union Temple will be the venue for the classes. I am also glad that six volunteers have signed up to be teachers. The detailed Teacher’s Manual will guide them to handle the classes with ease. 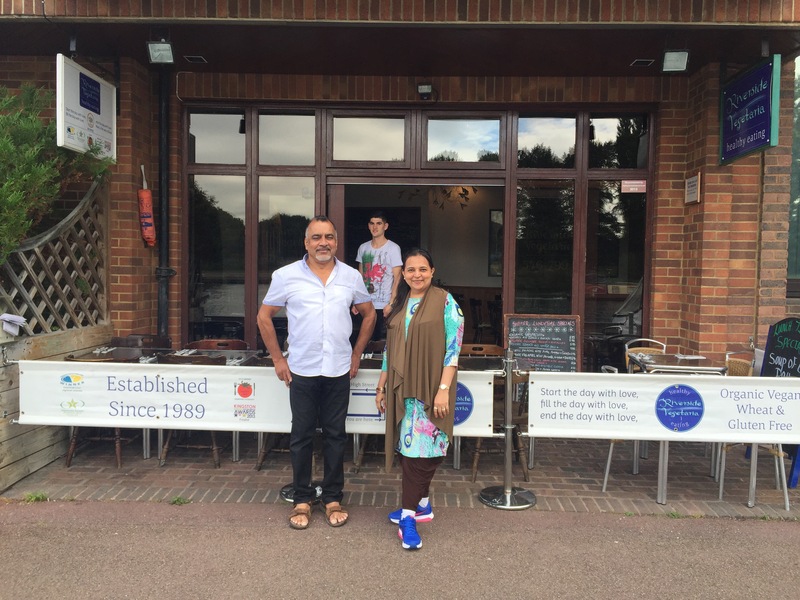 The first batch will start with classes offered for free on Saturdays from 3.30 to 4.30 pm and Sundays from 10.30 to 11.30 am in English and Gujarati. Anyone in the age group of 8 to 18 can join the class. Many officials and prominent members of the Community graced the occasion. 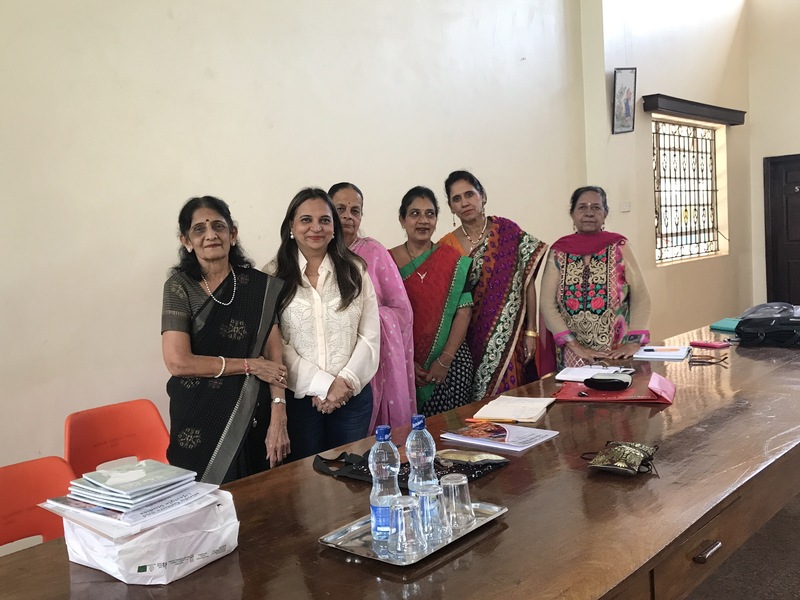 The books and the classes were formally inaugurated by the trustees of the temple, Shree Govind bhai Kaneria and Dr. Prajapati, Chairperson Hitesh Derodra, National Trustee of Hindu Council of Kenya Shree Ramesh Mehta. I am looking forward to the residents of Kisumu and other nearby areas to join the course and benefit from the classes. 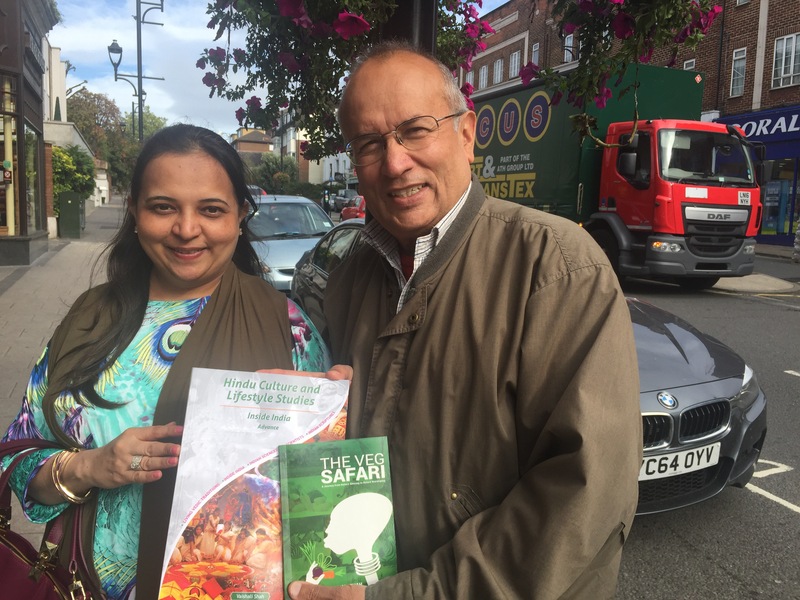 Dear friends, I am glad to share with you that my book The Veg Safari is available on various online stores across the world. Please order your copy and support our cause of plant based diet and help environment and animals. The book has explained the reasons why we need to take plant based diet more seriously than even before. It strengthens your arguments about the benefits of vegetarian / vegan food no matter which part of the world you live in. I have cited some live examples of how people got benefited by changing their diet, my own experiences and important data from world over related to animal farming, causes of various illnesses and the way forward. It is also a window to Africa and how locals are reciprocating to our efforts. The book is also available in 39000 stores worldwide through our distribution channel. To support the same, we have created a Facebook page and twitter handle. Please connect with us on social media platforms too. 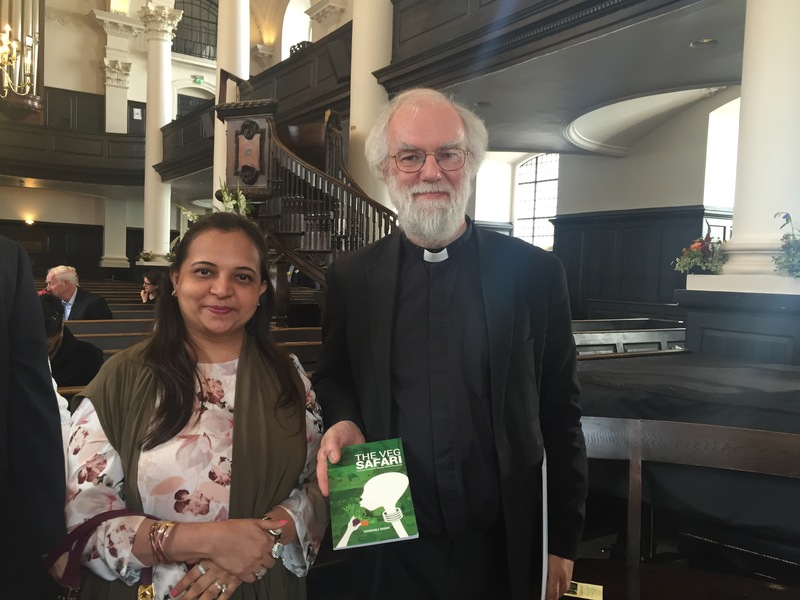 It was a sheer pleasure to present my book The Veg Safari to many known achievers in London. It is my pleasure to share with you that we have launched our much awaited and well- designed courses on Hindu Culture and Lifestyle Studies on our website http://www.courses.indianscriptures.com. The courses are designed keeping NRIs and other non-indian communities in mind. It is easy to understand and also very practical to follow Indian culture in today’s modern life. It is attempted to target those people who would not like to follow any hindu cult or guru and yet want to know more about Hindu culture and heritage. It is also benefitted to those who are practising any particular sampraday within Hindu vedic umbrella but not able to understand why we do certain things in certain ways. These courses will help you to understand the basic tenants of Indian lifestyle and why to do certain things in certain ways. Please join the courses as per your convenience of time and place as everything is online. If you need any assistance our panel of volunteers will be happy to help you.